Hello friends! I hope you all are having a wonderful weekend! I've been hanging out with my friends a lot and that's been wonderful! I can't wait to trick or treat tonight! This is will Parker's first REAL trick or treat, last Halloween he was 4 months old so he sat in the stroller and watched. 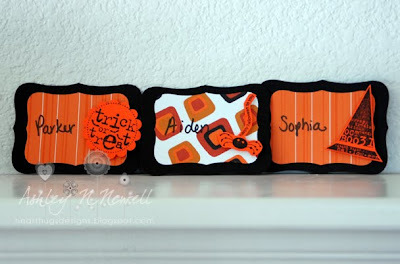 Today, I am sharing with you some tags I made for a party that the kids went to earlier this week. My friend Amy made cookies and I made these tags to go on the bags. We have lots of little friends who I love! I hope they enjoyed their treats! 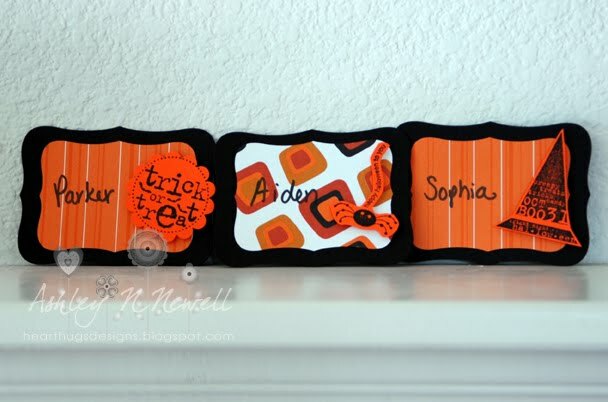 I made three different variations of the same tag for them using Ippity's That's Creepy. Oh, those came out really cute! !